The First World War (1914-18) claimed the lives of 1,146,982 British and Commonwealth men and women. 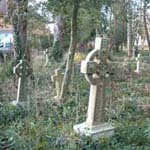 Twenty-nine are buried (or commemorated) in the Churchyard. 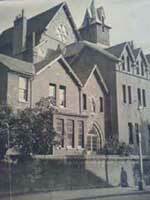 In addition, there are 185 named on the Roll of Honour - rather a lot from a small parish. Most fought with the Oxford and Buckinghamshire Light Infantry and would have been volunteers as there was no conscription before 1916. The Oxford and Buckinghamshire Light Infantry (Ox and Bucks, for short, or O.B.L.I) had a busy time of it in World War One. They fought in many areas of battle, from the Western Front in France and Belgium to Mesopotamia (where Iraq is today). They won many gallantry honours, including two Victoria Crosses, but sustained terrible casualties, especially on the Somme in 1916 and at Ypres in 1917. The Ox and Bucks arrived on the Western Front in 1914 and were one of the first divisions of the British Expeditionary Force (BEF) to arrive in France. The Battalion took part in the first British Battle of the War at Mons, where they defeated the German forces they met on August 23rd. They also halted the German advance at the First Battle of the Marne on the 5th/9th of September. These were significant victories, but after this, things took a turn for the worse as the 2nd OX and Bucks took part in the First Battle of Ypres (Wipers to the troops) between October 19th and November 22nd. That saw the heart ripped out of the regular army, with 54,000 casualties. However the Ox and Bucks helped prevent the Germans from capturing Ypres in Belgium and the 2nd Battalion defeated the elite Prussian Guard, well-known as brave and ruthless fighters, at Nonne Bosschen Wood. They prevented their advance then went on to rout them. 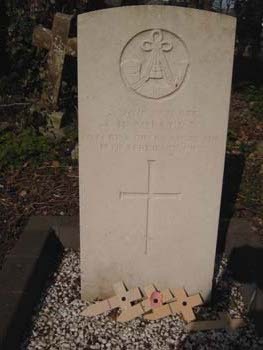 Perhaps Private Frederick Dawson, who fought with the 2nd Battalion and is commemorated in the Churchyard (CO67) was there. It's more likely, however, that he was a volunteer and would still have been in training in 1914. The First Battle of Ypres was the last major battle of 1914. In 1915, things got worse. At the Battle of Festubert, launched to support the French, the Ox and Bucks suffered 400 casualties in May 1915, their largest number so far. They also saw action in the terrible Battle of Loos (in which Rudyard Kipling's son, Christopher, was killed) in September 1915. Perhaps Private Lynn, commemorated at CO65 was there. The Ox and Bucks were alone when they attacked the Hohenzollern Redoubt in October 1915 and fought bravely, again sustaining casualties. Yet worse was still to come, on the First Day of the Battle of the Somme on July 1st 1916. This was the worst day in British military history in which the army suffered 60,000 casualties in one day, and over two hundred thousand by the time the battle ended (check figures). The Ox and Bucks served throughout the Battle of the Somme from July to November 18th, suffered very heavy losses and enduring unimaginable horrors, especially at Mametz Wood (commemorated in a famous poem by Robert Graves) and Pozieres. They also suffered at Ancre, the next battle, and at the Arras Offensive from April to May 1917. A further test of endurance came during the Battle of Passchendaele �(Third Ypres) between July 31st and November 6th 1917. Despite heavy rain, the Commanders wouldn't call off the attack and as the ground turned to liquid mud, the men had to fight on, and die in their tens of thousands, many having no known grave because of the conditions. These men, whose bodies were never found, are commemorated at Tyne Cot Cemetery and at the Menin Gate Memorial in Ypres, Belgium where the local fire brigade still play the Last Post today every evening. One of these missing men, also commemorated at CH31, is Private Cedric Horace Veary, aged 23. Perhaps he was killed at Polygon Wood, or on the Menin Road, which was where the Ox and Bucks fought at this time. His name is also mentioned on the Menin Gate Memorial. They fought hard to hold the lines against this onslaught throughout the Spring of 1918, in the Somme area and at the Battle of the Lys. This wasn't easy and it took until August before the Germans were pushed back again: their Offensive had failed. Between August and November, when the War finally ended, the Ox and Bucks were engaged in pushing the German retreat in a counter-offensive (fighting back) at the Second Battle of Albert and the Second Battle of Bapaume. They also followed the advance through Flanders (Belgium) and fought bravely to the bitter end of the war on the Western Front. Meanwhile, they were also fighting in Mesopotamia (modern day Iraq) against the Turks where after the Battle for Kut they were under siege from the 7th of December 1916 to April 29th 1917 when they surrendered. We can't imagine the conditions they suffered in the intense heat as water and supplies ran out and among the survivors there were 300 men of the Ox and Bucks who were taken prisoner. Many of them, tragically, did not survive the war, and suffered maltreatment and sickness. One of the reasons that losses were so heavy here was that their comrades kept launching abortive attacks to try and get them out - attacks which failed. As well as fighting against Germany and Turkey, the Ox and Bucks were also engaged in action against the Austro-Hungarians and Italians, fighting in Italy and Macedonia. But even after helping defeat Austria at the Battle of Asiago, they still had work to do: the War ended, and they were on occupation duty in Bulgaria. But for many men of the Ox and Bucks, the War didn't end: there was no return home. Or, like Private John Edward Dawson, they were wounded in action and returned home only to die of their wounds a short time later. 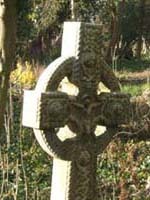 He is buried in the Churchyard (CO75) along with his mother, who died soon afterwards, having lost her two sons. Their father lived on for many years, lived on with his memories, like so many ordinary people whose lives were utterly devastated by the First World War. It's impossible for me to relate all their stories. Of course, you could always find out for yourself! Or you could research one of your own family members using the Commonwealth War Graves Commission website at www.cwgc.org. 'The First World War,' by Martin Gilbert (Harper Collins Publishers, 1995) is well worth reading.